Adobe will continue to sell Lightroom 6 as a perpetual license, but Lightroom 7 and future versions will only be available to Creative Cloud subscribers. The majority of Lightroom users have moved over to subscription and it’s reached a point that the additional testing needed for perpetual licenses is no longer profitable. Whether we like it or not, in this world of Dropbox, Netflix and Amazon Prime, subscriptions have become the norm. Complain vehemently to Adobe. This might make you feel better temporarily, however it’s not going to change Adobe’s mind at this point, and probably isn’t good for your health. Sign up for the Photography Plan at $9.99 a month to get the latest version of Lightroom Classic, which supports your new camera (or the Lightroom CC plan, if you like the idea of moving to the cloud-native app). Sign up for the Photography Plan or Lightroom CC subscription to always have the latest version of Lightroom. Is it worth signing up for a Creative Cloud subscription? All the latest and greatest Lightroom features. Lightroom iOS/Android premium features, such as raw photo editing, selective editing and sync. 20GB of Lightroom mobile/web sync space, allowing you to access your Lightroom photos on your mobile devices, and automatically upload your phone/tablet photos to your desktop catalog. 2015.1 – Dehaze tool which magically removes atmospheric haze from photos with a single slider movement. 2015.1 – Local Whites/Blacks in the Adjustment Brush / Graduated Filter / Radial Filter. 2015.4 – Improved panorama merge with boundary warp, to fill in the gaps around the edge of your merged panorama. 2015.6 – Guided Upright tool for correcting tilted or skewed perspectives in your photos by drawing lines on your photo. 2015.7 – Prefer smaller smart previews when editing to improve performance. 2015.7 – Adobe Stock integration. 2015.8 – Reference view in the Develop module, so you can match the photo you’re editing to another photo. 7.0 – Range mask for complex local adjustment masks. 7.0 – Embedded preview workflow for faster culling. Ongoing – The mobile apps have also made great strides including the addition of raw import, an advanced camera, selective editing (local adjustments), metadata editing and more. Many of the Lightroom engineers are new to the team, and while that’s resulted in a few bumps in the road over the last year or two, while they’ve come up to speed, it also means they’ve brought great enthusiasm to Lightroom’s development and are starting to address some of the long-term requests. The future is bright! If you’ve struggled with file management or the complexity of Lightroom, and you have a fast internet connection, you might prefer to consider the new cloud-native Lightroom CC app. You can read about the differences here. But what if Adobe hikes the price? It’s been $9.99 a month since Adobe released the photography bundle in 2013. There have been a few regional variations for differences in local taxes and currency exchange rates, however these have caused prices in some regions to go down as well as up. There’s no question, the price will have to increase someday, but let’s be honest, if the increases are unreasonable, everyone would just jump ship. Do I have to be online all the time to use Lightroom Classic or Lightroom CC? You don’t need constant internet access to use Lightroom Classic. You briefly need internet access to activate Lightroom. It also “phones home” now and again to check your subscription status, but you can be offline for up to 99 days before it reverts to a limited mode (no Develop, Map or Sync). A fast internet connection is useful for Lightroom mobile sync features, of course. In the limited mode, you can still import new photos, use the Library module to organize them, use Quick Develop to do basic edits, use the Book module to create books, use the Slideshow module to create slideshows, use the Print module to print your photos, use the Web module to update your web galleries, and export your photos, just as you could before. How do I switch from a perpetual license to subscription? 2. Download and install the Creative Cloud app. 3. Open the Creative Cloud app and sign in. This is used to manage installations, activations and updates. 4. If you want to upgrade to the latest release (Lightroom Classic CC 7.0), click to install Lightroom Classic CC. When you open Lightroom Classic, it asks for permission to upgrade a copy of your catalog. If you want to use Lightroom CC 2015.12, which is the previous release (likely fewer bugs, as it’s not a x.0 release), click the arrow to the right of the Lightroom Classic CC Install button and select Other Versions. You’ll find Lightroom CC 2015.12 in the list. 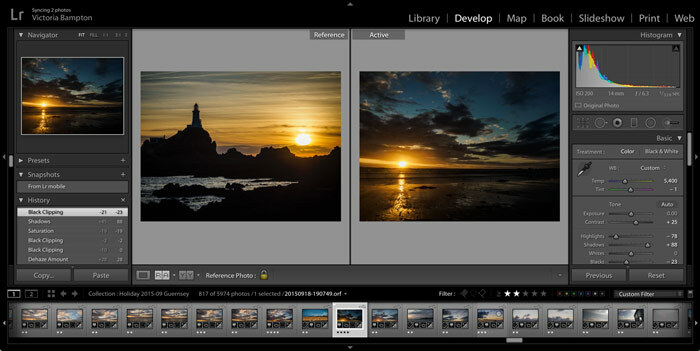 Opening your Lightroom 6 catalog into 2015.12 doesn’t need to upgrade the catalog format. You don’t mention the minimum OSX version and hardware specs that will be consistent with good performance from LR 7. Do you have insight into this matter? How long is a piece of string Mark? The system requirements haven’t officially changed, but hopefully it’ll now perform better on higher spec hardware than Lightroom 6 did. Victoria, please – I’ve been using this application since it’s first release, and using computers with graphics applications on them since 1986, so I don’t need to be asked about the length of string, but you didn’t know that and perhaps for sake of total clarity I need to rephrase it the long way and re-ask: when software is revised, sometimes there are elements of the revisions which don’t play well with “version today-x” of a computing environment (OS or graphics card vintage etc.) , so it’s useful to know whether someone such as yourself, or others have encountered any such instances and whether they would be serious enough to consider hardware and software upgrades to better accommodate the application. We all know that statements of minimum specs compatible with the application cannot address this question beyond stating the minimum necessary. True, there are so many system constructs at play that there is no one-line universal answer to the question I’m raising, which is probably where your notion of the piece of string arises from, and I’ve been doing this long enough to understand that, so it’s really a matter of people, such as yourself, having noticed any instances of such problems that may have arisen. Readers aware of these issues can then judge their relevance to their own system environment. People who have been testing the pre-release versions, and I assume you are one of them, may have some insight and that is what I am asking for. It is the start of a conversation, as instances may be discovered as usage expands. Apologies Mark, you’re right, I don’t remember everyone’s backgrounds. There’s just not enough information available yet to give recommendations, sorry. Once it’s been tested by a much wider audience on a much wider range of hardware, hopefully I’ll be able to offer more specifics. The simple answer is no, this version of Lightroom is not any faster than the previous one. It’s amazing how diverse the reactions are. Loads of people are saying it’s faster, some aren’t seeing any change, and some are finding it slower. Mac users seem to be seeing more improvements than Windows. BTW, I’ve been a long time subscriber to your newsletter and eBooks, but for some reason I am not receiving them these days. Notice of your latest posting came to me via Luminous-Landscape’s Forum. Grateful if you could check why I’m not receiving your mailings directly. Looks like you opened my last newsletter (September) 3 times. There should be another one going out in the next 24 hours, so let me know if it doesn’t show up. Yes, September eventually turned up, but with some lag. I first saw it from a friend in the US who also subscribes. So my first opening to it was from a link he emailed. Then some time later I got yours directly, so went in a couple of times more from there. Today for example, I hadn’t received your latest email directly and still haven’t. Perhaps you don’t send to everyone at the same time? I’ll keep my eyes peeled. BTW, I think you are providing terrific value-added on all this – large amounts of very useful information saving us gobs of time if we had to discover it all piece-meal by ourselves. Cheers. I usually space them out over 24 hours to avoid crashing the website. Today’s hasn’t gone out yet because I’m trying (between answering comments!!!) to get the free eBook available for download. Soon……..
You forgot option 4: find a replacement and stop using LR. I will be choosing option 4. For me this is a sad day. I will not be purchasing a subscription service for my software. I was hoping they would not do this but I am also not really surprised. I guess I have to start the process of figuring out what to switch to. Yep, that’s of course an option, but at least there’s no rush. You don’t HAVE to make a decision until your camera is no longer supported and even then, there are workarounds. Who knows which companies will try to jump into Adobe’s shoes next. Indeed I have time to figure it out. When they first introduced this subscription thing I looked at alternatives and didn’t really like any of them so I took Adobe at their word and kept using LR. Now that is not an option. A quick look lead me to 8 possibilities to evaluate but I am not sure how many will make it to a trial on my HD. I noticed that some people were talking up their favorite saying they like the fact that their alternative does not offer cataloging. For me that’s a big piece of the puzzle I need to replace. It will be interesting. For Mac users, another name to keep in mind is Affinity, from the Nottinghamshire stable of Serif Software. I am told Serif are actively developing a DAM/image processing application along the lines of Lightroom+Bridge, although it may be a fair while before it sees the light of day (no pun intended). Since they ventured onto the Mac platform, they have been gaining in prestige due to their solid, powerful apps and great commitment to their customers. An affordable price is part of the goodness, as well as a promise to never go the subscription route. I have been very happy to hand over my hard-earned cash to these well-established developers (they have been making graphics software on the PC side for over 20 years, where I first discovered them) and can’t wait to see their new creations. I have no affiliation with the company. I’m just a happy customer. I recommend either Exposure by alien skin software or Darktable. Yes, the free (as both in ‘free beer’and ‘free speech’) and well documented Darktable, (www.darktable.org), really is something that ought to have a closer look. It now also have a Windows version. I am glad to hear that I am not alone. I have been purchasing Adobe products for many years. It is unacceptable to me that Adobe has moved to leasing their products and virtually only upgrading the leased products. Lightroom is nice but it is not the only editing program out there. Its too bad that Adobe has gotten greedy. I will never begin leasing their products. Totally agree! I have been using LR since before Adobe bought the program, but I will NOT be married to Adobe! I will continue using LR 6 and explore alternatives for image processing and LR might just stay as my DAM (until a better one comes along!) I already have licenses for Luminar, ON1 and a bunch of others – so Adobe: go forth and multiply! Asta la vista, baby! You’re definitely not alone, I think this is a big mistake by adobe, and I’m very disappointed. But not surprised. I too will be forced to find an alternative. I want to choose when or if to upgrade software. And as a photography hobbyist, ongoing costs are not justifiable. I also don’t want any cloud nonsense bundled into the software purchase. As a software engineer I’d add that the cost of “additional testing needed for perpetual licenses” being “no longer sustainable” is nothing but a bogus excuse for not releasing such a license. It’s much simpler than licensing for subscriptions, and in either case the costs are negligible compared with the rest of the app. Heck, it probably cost more to remove perpetual licenses than to continue testing them. I am not a fan of Cloud base services for security reasons or these monthly fees. Adobe is getting like Apple always in your pocket. 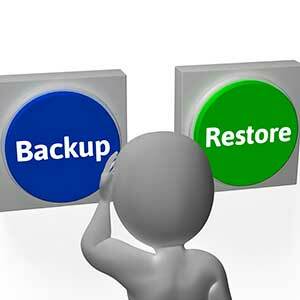 Therefore will be doing some research on replacement software. I agree. I will not pay a monthly fee as a hobbyist photographer. Thank you for summarising the features that I am missing because I have not moved from Lightroom 6 to creative cloud. The list is longer than I was expecting and there are definitely some new features that I would be interested in using, but the obstacle is the idea of committing to a subscription for the rest of my life. If my circumstances change and I am no longer able to afford the £10 per month then can I revert to what I have now? So will the Lightroom 6 develop module be enabled if I cancel my CC subscription? If not then effectively I am losing access to the Lightroom 6 product that I have already paid for. Also, I only use Lightroom so why does the subscription also include Photoshop? I will never use Photoshop so why is there not a less expensive option that only allows me to use Lightroom only? If you were to stop your subscription, Lightroom 7 (or whatever it was at that stage) would mostly continue working, except for Develop, Map and Sync. Your catalog wouldn’t downgrade to Lightroom 6, but it would be possible to write everything out to XMP (excluding things like virtual copies and collections which are virtual) and then import them into a fresh LR6 catalog. Unless you foresee it happening any time soon, I wouldn’t suggest you worry too much about it. When that time came, there might be other software you wanted to move to instead, rather than downgrading to LR6. The xmp will contain 2 snapshots. one of your original, one for your virtual copy. Yeah, that works. It’s a pain to do one at a time, but there’s a plug-in called Snapshotter that can help. I thought that if I were to go to the subscription photo plan, and didn’t like it for some reason, I could always return to my 6.6.1 perpetual version (without the added features). In other words, I didn’t think 6.6.1 would be affected in any way. Is that correct? And what about losing the ability to edit RAW? Will that happen Jan. 1, 2018 with my perpetual 6.6.1? Your perpetual license will continue working as it does today until your OS no longer supports it (although you might want to update to 6.13 when it comes out, to get the latest OS and camera support). That includes editing your raw photos. The only hiccup will be if you buy a new camera that LR6 doesn’t support, but then you could still continue, by using the DNG Converter before importing to Lightroom. If you do go subscription, LR6 won’t be able to open the LRClassic catalog, however it would be possible to write most of the metadata out to the files (missing some virtual bits like flags and collections) and import them into a clean LR6 catalog. Increasingly using ON1 2017 Photo Raw instead of CS6 but Lightroom 6 perpetual has been my choice for organisation and most of my processing. Recently I have started to use ON1 Photo Raw for culling as it is much faster than Lightroom. I guess over the coming months I will be evaluating ON1 Photo 2018 to see whether it can replace Lightroom completely. I can’t bring myself to sign up for a subscription based model! Interesting to see On1 bringing out another update so soon after their last one. I can’t help but wonder if they won’t go the subscription route too, in time. ON1 has been using the non-subscription model as one of their sales points. They are VERY aware of the Adobe approach and would be crazy to loose such a significant differentiator. If they did, they would need to compete with a monster size company with huge budgets, whereas this way they are seen as a significant alternative vendor, and I am sure they will pick up a TON of sales from the LR refugees! They already have my money 🙂 – I just bought the 2018 upgrade too. This issue about subscriptions has been knocking around for a long time and there is very little more that can be added to all the thoughts from previous discussions on numerous websites. That said, I’ll recall three thoughts on this matter, which I’ll mention here and leave it at that: (1) numerous software vendors have moved to subscriptions and others are in transition, so this is not just Adobe and it’s not going away whatever the merits or demerits; (2) as far as I’m concerned, so far the model has been working well for me, and therefore I think for many others both technically and financially; there have been a couple of serious technical issues with LR releases, but that can happen whatever the payment model; the cost of the photography bundle subscription (speaking North America here) does not exceed the previous costs of upgrading both applications on the former 18-month upgrade cycle, but of course the latter was a perpetual license; (3) I think Adobe could give many subscribers more comfort with an option to retain a perpetual fully functional license of their latest version if for whatever reason they made a decision to indefinitely suspend their subscriptions; Adobe could surely find ways of assuring this option could not be gamed in any worthwhile manner. If Adobe offered this feature, I would not have any second thoughts about switching from LR6 perpetual to LRCC. Thats why it will never happen; subscription profits are much higher. Yeah, I understand the desire for a fully functional version at the end of a subscription. Like buying out the car you’ve rented, I guess. That said, the only things that stop working when you stop subscribing are Develop, Map and Sync. You don’t lose any of your organization or edits or anything else, and you can use other software to edit your photos at that time. Oh please. Lightroom without Develop is no better than a file manager! Since file management is the one thing many of the other photo editing packages are doing really badly right now, that’s quite valuable to a lot of people. Plus it means you don’t have to create JPEGs/TIFFs of all your photos in order to retain the edits. Capture One Pro provides great file management. Perhaps you should have a look at it, Victoria, before stating that other photo editing packages are doing it “really badly right now”. That’s great to hear that’s changed now. I bought the latest version of C1 when it came out, but haven’t had chance to play with it extensively. Thanks for the heads-up. I’ll check it out in more detail. Their pricing is still quite a lot higher than Adobe’s though, right? The DAM aspects of C1 indeed dramatically changed from earlier versions to version 9 (and now 10). However, the integration with Photoshop (I use CS6) works nicely, and most importantly, I prefer to pay for a perpetual license once. The initial fee for C1 is $120 higher than it is for LR6. Do I wish it was lower? Yes, but the feature set of C1 is worth paying that kind of money, in my opinion. Once you have a licence, an upgrade is just $99 and you only need to spend that money if you think the upgrade is worth that money. Brilliant, thanks for that info. I look forward to exploring further. I too am averse to signing up to a subscription service which would disable the Develop module should I later decide to stop paying. I have paid for every version of LR up to my current 6.8, and although the new features you describe in LR7 are enticing and would be worth another upgrade, I am resisting. BTW, my newest Canon camera doesn’t show up in the Develop/Lens Profile list, although it is included in the RAW list for 6.1.1. I have no problems importing the CR2 files. Is there any way to download new profiles? Thank you for your continuing support for this platform. Lens profiles are separate from camera profiles, so support doesn’t always come at the same time. Which camera? 6.12 is the latest release that’s a free upgrade, so you may as well at least update to that. Aurora HDR, Luminar, On1 Photo Raw. They have mentioned they will never be subscription based. I hate this, but it’s the future. I have also gotten so many presets that they will be all lost if I discontinue use. Thanks for all your information, I really appreciate it and your attention to answering questions. Go to Help menu > Check for Updates Maureen, and it should show up. 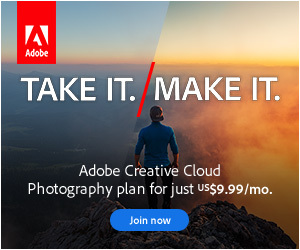 If not, click Adobe Photoshop Lightroom 6 on this page: https://helpx.adobe.com/uk/lightroom/kb/lightroom-downloads.html to show all of the patches. Yes, every time I do that it says I am up to date. I have had this ongoing issue for quite a while. You have helped me through this also. I have had to uninstall and then reinstall which makes me very nervous. I appreciate all this discussion and I to will not go with the subscription based product. They hold you and your photos hostage. I will try your patches again to bring it up to date. You are the best and I appreciate your comments. What makes you think they hold your photos hostage Maureen? They’re still stored on your computer as they always have been. I have been using Lightroom since frist beta, actually since RAW scooter was aquired by adobe. Currently on ver 6. I had a feeling, That it would go this way, so I have been using Capture One in parallel for about a year now. For me it is an easy decision to go with Capture One from now. I really do not want to rent my software. And the raw converter in Capture One is superior. I’ve played with Capture One and I like the output, but I found it crashed more often than Lightroom. How’s the stability on your machine Uffe? Thanks for sharing Uffe. I’ll look forward to hearing how you get on with the complete switch. Martin concludes that on the whole one is not generally superior to the other. Thanks for sharing that Mark. A friend recently cancelled his CC sub a few months after the first year when it auto renewed. He was horrified to be invoiced for a significant termination fee on what he believed was a monthly service. It’s not clear to me how you determine a month to month or annual paid monthly sub. Adobe love to talk about it being a monthly fee but it’s clearly not always the case. It’s in black and white in Adobes pages but personally I think it’s very unfair and is another reason I won’t be moving to cc. Oh dear, I’m so sorry to hear that AMC! It does say “annual contract, paid monthly” in the main popup when you purchase, but that’s definitely easy to forget, especially a year after purchasing. AFAIK, none of the photography plans are month-to-month contracts, or they’d be more expensive. As I said it’s often referred to as £10 a month but it’s actually £120 a year. Charging 50% of the remainder of the contact and terminating service at the end of the current month is very harsh. I don’t think it’s reasonable so I won’t be signing up. It’s a pity as I was really getting to like the product. For me it’s bad that LR6 is the last version with perpetual license. I’m not professional, I’m just photo fan and I’m using LR since LR4 for released. Upgrade from LR5 to LR6 cost me 74EUR (2 years ago). So it is 37 EUR per year (acceptable for me). As I said, I’m not professional I’m just fan for photography for my own purpose (family, etc.) I used LRX for years because it is powerful tool (for pro) Maybe I never used all features, but my photos are organised and I think very good looking … and easy to develop (I know this app very well). I know, I’m not interesting for Adobe (I’m not pro, all pro I know are already on subscription). So, if they have let say 90% on subscription, 10% is not interesting them, because those 90% are bringing more money to Adobe then before! it’s not 8.89€, it’s 9,9€, 12€ with VAT per month. And list of new features since LR6 for this price is only joke. For an occasional hobbyist user like myself, the subscription terms are simply not justifiable. I’d upgrade to a perpetual license of LR 7 for the extra features, or if there was a Lightroom-only sub at half the price (I don’t want or need Photoshop or a TB of cloud data), I might give it some thought, but as it is, I guess I’ll just stick with LR 6. I was forced to change from Aperture to Lightroom. Now Lightroom as a professional tool is starting the same slowly death like Aperture. Assuming they’d made a decision to rebrand it, what would you have called it? Here in the UK, Classic means “a work of art of recognized and established value”. I’m sure it won’t last forever, but I don’t see Lightroom Classic disappearing anytime soon, considering all of the engineering work they’re putting into it right now. Meanwhile Apple Photos is going from strength to strength (for Mac users – obviously). It offers good integration to Final Cut Pro X for video editors, which is another win for Apple over Adobe Premier. So now the search is on for any DAMs that are a match for LR and Apple Photos. A great opportunity for one of the existing raw photo developers to step into. I think ON1 is aiming for this as well as a few others. Imagine if C1 had a decent DAM… or if Apple developed a Windows/Mac version of Photos with Aperture heritage? Affinity is also busting a gut to grab Adobe’s market!!! 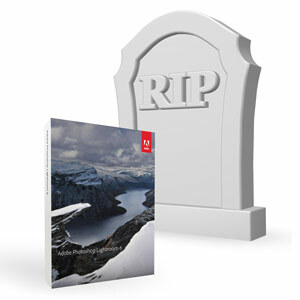 Once a viable alternative to LR6 evolves, Adobe will see a MASSIVE migration and loss of new licensees, so I think they have really shot themselves in the foot. I reckon the Exec at Adobe, who made this decision, will be looking for a new job soon. Just for fun, I am adding Adobe stock price to my stock market watch list. Yeah, I think there will be multiple companies working to capitalize on Adobe’s decision. That can only be good for us as photographers. Yes, I am surprised but this seems the crucial reason for the really slow improvements of Lightroom. And like my experience with aperture it is obvious that Lightroom Classic is the last update of the folder based version. It is not only the speed. For professionals a lot of things are need to be improved. It started with the use of iptc-captions, GUI and so on, so on, so on… and here happened nothing in the last years. Yes, for me it s already true. PS6 I did´t used anymore. For my purposes and work Affinity is really the much better solution as PS6. In the last year other vendors got much better. It is sure in 2018 we will have some really good new finalized solutions from other companies. It is only a step. Happy to help Tams, and sorry I can’t continue to do so. I’ll be concentrating blog posts on the shipping versions, of course, but much of that will still apply to LR6 too. We’ll continue to support older versions on the forum too, so for as long as you’re still using Lightroom, you’re very welcome to stick around. Or leave Adobe products altogether. Yep, that’s an option too Mromine. Victoria. Your post seems to indicate that users of LR6 would HAVE to use DNG for continued support. This, of course, is completely false. LR6 will continue to process the various varieties of RAW files that it does now, so the ultimate option is to keep on keeping on with what you have. There is, however, one more option you did not mention and that is to purchase Affinity Photo, perpetual licence, for around $AU80 and have the added advantage of layers etc. Sorry John, yes, that was under the heading of “if you buy a new camera” but the formatting’s not entirely clear. You’ve made my day Robert. Thank you for your kind words. Yes Victoria you have explained this all very well. Wait and see for a while is my option as a standalone user since LR began. Very disappointing that we have this monthly fee when our retirement savings do not give us these options. Thanks Jennifer. Yes, wait and see is a good plan. No point jumping out of the frying pan and into the fire. OK, I just tried to do the update patch and it’s not working. I updated the Creative Cloud, and now to update a box comes up and says: You’re updating to Lightroom Classic CC. Compatible settings will be moved, and older CC versions of the app will be removed. Click UPDATE – I flew out of that box. I’m scared I will have to sign up for the subscription. Maureen, there was a direct link to update in one of Victoria’s email newsletters ” a few month ago”(?). Clicking the said link automatically downloaded a DMG file to my hard disk where I then updated to 6.10. with no problem. (previously I had had no luck doing it on Adode’s websites. ) See if you can find that link..
Don’t go to the Classic one Maureen. When you tried the update patch, what happened? Error message? Was it the 6.12 patch you applied? Which OS? You really are the Lightroom Queen. If I’m looking into something LR related, I always find a good piece of advice here, thanks! I’ve used LR on and of from V.3. I now own a Lightroom 6 standalone license, but use the CC version. Since the installation of LR Classic upgrades my LR6 catalog and croates a new one with a -2 append, I presume the original catalog was not affected by the upgrade. Am I right? If so, that LR6 catalog could be open by LR6. My real question is, can I run LR6 alongside LR Classic since they do not work on the same catalog? If not, when (and if) I decide to abandon the suscription base Adobe scheme, will I still be able to register my LR6 licence? Yep, that’s right Michel, it only ever upgrades a copy, although it nicks the previews. But no, Lightroom 6 won’t under the LRClassic format catalog. You’d still be able to go back to using Lightroom 6, but you’d need to write all of your LRClassic edits out to xmp (excluding virtual stuff like VC’s, collections) and then import them into a clean LR6 catalog. LR6 also wouldn’t be able to understand any “new” settings, like the new Range Mask tool. I always appreciate your updates, but have a few points to make. Call me a cynic but I have yet to see a company that didn’t make these decision from a purely profit gain/loss perspective. Even if it was economically viable, the huge increase in profits from a monthly “hire”, is motivation enough for them to change their focus to that system entirely, and give their customer base whatever reason will make enough logic to be acceptable. Again, I can only reiterate and rephrase part of point one. It will never be about fashion, technology or where these large companies are leading us – these are only opportunities created by them to enhance their profits. In the end, what you and I want is of little consequence, unless it directly increases profits. I’m sure that statement is from the heart, but if Adobe has achieved enough market share for CC and Classic and turned the Perpetual version into an “untouchable”, where will everyone skip to? They can raise the prices as often, and as much as they can get away with, and if your want to use the best photo editing s/w on the market, and you have your photographic repertoire locked into their system, what choice do you have? Where can you go? Are these real possibilities? Absolutely! Recent economic history it replete with such stories of companies with a dominant market share doing exactly that. Here in Australia, and possibly every other country that has privatised their electricity grid, with the promise of cheaper prices due to “competition”, we are now paying record prices with no end in sight, and very little anyone can do about it – there is just nowhere to go! I will moan and complain to Adobe, and as you have already indicated, they won’t change anything – but if you do nothing, you can’t expect anything to happen. Having relieved my chest of the weight of the above burden, I still love the LR Queen and everything this site has to offer. Most times I only have to search and read posts or blogs to solve the problems I occasionally get – so rarely need to log a post myself. One of the best photography resource sites for LR. Yeah, it’s 100% a business decision. > if Adobe has achieved enough market share for CC and Classic and turned the Perpetual version into an “untouchable”, where will everyone skip to? Loads of other photo editors will see this as an opportunity to tempt people away. There’s some promising up and coming editors, and even when a LR subscription ends, most of Lightroom carries on working, so you can still access all of your old edits. Unlike electricity, which is identical regardless of who you buy from, there is constant competition for new features and improvements. I think these companies will all keep pushing each other forward, which is a good thing for us. Never know, in a couple of years, there could be something better than Lightroom. Aaaaaw, thank you Wayne. I love that we can all discuss different viewpoints in such a grown up friendly way here. Some of the other threads out there are ferocious! So thank you for helping to maintain a lovely spirit around here. I have no doubt that the dumping of perpetual licensing is the prelude to price rises. You now have no alternative in the Adobe stable. The first rise may be $1-$2/mo as, after all, “that’s less than the price of one coffee per month”. Thus the rationalisation of the behaviour begins. Such psychological approaches in retail are well documented. Trust me, as the price for an item is “whatever the market will bear”, adobe will now set about seeing how far they can push this. For me the subscription model is unjustified. I don’t “rent” software. It makes no sense financially. I have also seen little to no innovation in the product to justify perpetual rent. 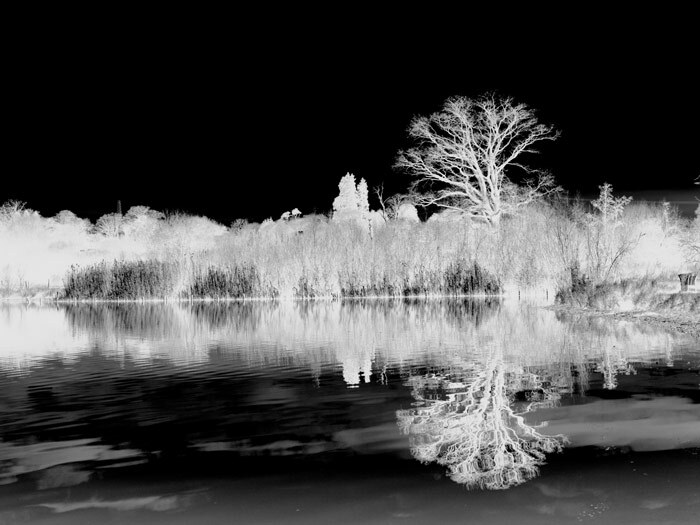 I’ll stick to DNG conversion for unsupported cameras and carry on using LR6 which is a fine piece of software. It is a shame they chose greed as their path. > I have no doubt that the dumping of perpetual licensing is the prelude to price rises. Interesting perspective Mark, however, Photoshop users could have said the same thing when those perpetual licenses were removed. Of course prices will have to rise at some point – everything goes up – but the price of perpetual licenses would also have risen. If they put the prices up too far, everyone will just jump ship, especially since there are now up-and-coming alternatives. Thank you Victoria. You have altruistically produced what reads like many hours of hard work for the benefit of your subscribers, free of charge and up to date. This a wonderful gift to Lightroom users. All the best to you, Joe. Thanks Joe. It has been a job and a half!! The end of the LR perpetual licence has greed written all over it. Sad but entirely predictable. I for one certainly won’t be signing up to the subscription model. LR isn’t the only game in town these days. I have already replaced Photoshop CS with Affinity Photo with no regrets. I’m really pleased to hear Affinity’s working well for you. I’m hearing good things about it, and hopefully when the dust settles, I’ll have time to play. What do you have on your radar to replace Lightroom? Or do you think you’ll stick with your current perpetual license for a while, so all the other companies can catch up? I just clicked on the ‘upgrade to classic’-button, because I didn’t realized, that that is not perpetual licence ( no warning – nothing ). After seeing the monthly offers I deinstalled Classic but LR6 was not not anymore running. It took me hours to find the installer and get LR6 running once more!! Firstly I would like to commend you on what is the foremost resource for all things LR related. As a hobbyist photographer I too will not be ‘upgrading’ to the subscription model. A sort through past emails reveals that my last upgrade from LR5 to LR6 was in April 2015 and cost £59. Would I spend a similar amount for, what what we be for me, rarely used features: dehaze filter, improved panorama merge, guided Upright tool? Possibly. Would I spend a similar amount to stay on the current supported version? Very likely. Would I spend £120/year every year for this? I’m afraid not. Of course, Adobe’s take on this would be that in the intervening period they received no income from me whereas the subscription model would’ve yielded them the best part of 300 quid. Unfortunately it appears that Adobe have succumbed to what is little short of a racket in which the customer pays more for less, safe in the knowledge that the customers they alienate will be more then compensated for by the increase in subscription revenue whilst simultaneously relieving themselves of the pressure of having to invent what are becoming increasingly obscure features needed to entice users to continually upgrade. I intend to remain on the perpetual licence in the hope that other companies will fill the void. > I would like to commend you on what is the foremost resource for all things LR related. Thanks Paul. Completely understand your viewpoint. 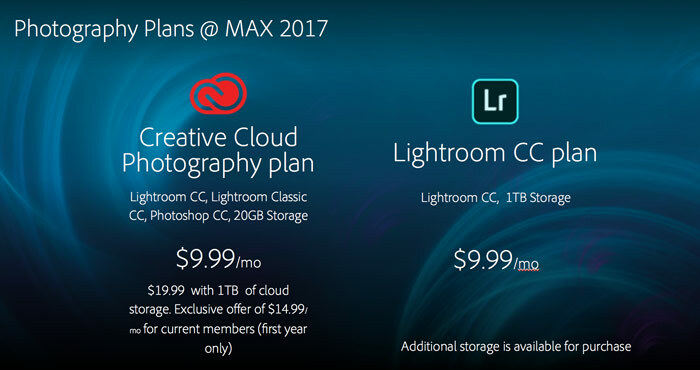 If you’re just using Lightroom and none of the other features they’ve included in their bundles, the subscription is more expensive than the old upgrades. I don’t agree that we’re paying more for less, but see my note on the paradox once it gets published. If we are talking about people who only use LR for their image editing, the sum of the monthly fees for the photography bundle likely exceeds what the 18-month upgrade costs of the perpetual licenses USED TO cost for LR alone. But we are getting more for our money. Don’t forget that different people with different needs will appreciate newer features to differing extent. For example, I do a lot of street art photography. I need to work with all kinds of awkward structural angles and unpleasant lighting conditions as reflected by walls with various materials that glare differently depending on angle of perception and time of day. Those Dehaze (used creatively) and Upright tools that you don’t think very much of have been huge time savers for me and I believe have unparalleled effectiveness compared with many other tools one could deploy. You’re not getting more for your money if all you wanted and ever needed is Lightroom. I couldn’t care less if Photoshop is included as I don’t want it, I just want Lightroom. Therefore there is a massive increase in cost for the status quo and there genuinely has been little to no innovation in the product, just camera model updates and profiles etc. The fact they don’t offer a Lightroom only package speaks volumes about the profitability of the route they have chosen. Getting ready for the impending price rise. That “it’s been $9.95 since it came out” is about to change. The customer is now a cash-cow there to be milked. I have reviewed my previous posts on this matter and I have nothing more to say in response to this, except to be clear that I disagree with “Mark’s” contentions and the hypotheses. Peoples’ contexts and worldviews differ, so each to his/her own. I agree with Paul Sayer. I too am a hobbyist photographer mainly using my desktop version of Lightroom to produce photo books of our travels. The extra features (some which can be achieved with presets) certainly aren’t worth the subscription fee for my purposes and I will stick with version 6 while I can supplementing it with Luminar which I have found to be quite good. Many of us faced a similar decision some years ago when Adobe moved Photoshop on to a subscription model. Let’s face it, good though the Develop module of Lightroom is, there are limits to what can be done without resorting to Photoshop or similar software that supports raster editing and layers. So I don’t see Lightroom as a stand-alone program and I suspect Adobe doesn’t either. This is surely why there is such tight integration between Lightroom and Photoshop. These are both professional programs and I think that £100 per year (now £10 per month in the UK thanks to the Brexiteers) for both is actually rather good value. Photography has never been a cheap hobby: the latest version of my Canon 5d mk ii costs well over £3000 for body only and in pre-digital days, I spent well over £120 per year on film. To cater for the amateur market, Adobe itself has its Elements software and there are several worthy alternatives. OK I’ll now go and duck behind the sofa. That’s a very good point Roger. It’s easy to forget how much we’re willing to spend on our cameras. £10 a month barely buys one coffee a week! There’s a reason subscription costs are broken down to monthly fees – so you look at it as a small and inconsequential cost and rationalise it as “x coffees” etc. That is the psychological approach to modern retail. It’s not about the large and harder to sell one-off prices, it’s about the perpetual slow bleed of the subscription model. Less up front but lots more through time. There have been many articles written on this. Think about the majority of things in your life being rented rather than owned and how that works as your income declines in retirement. House, car, TV, fridge, washing machine etc. The people doing the selling are way smarter than those doing the buying. £10 will soon become £11, then £12 etc. All palatable and justifiable “less than a coffee” price rises but soon enough that software that you paid a £60 upgrade fee or around £100 outright for something that didn’t get a version upgrade for 30 months will be costing you nearer £200 per year. Every year. Thanks for the very useful updates of Lightroom you provided. I am from Hong Kong. I bought the Lightroom 6 online from Adobe in 2015, and had been using it since. At this point of development, I would opt to go for the Lightroom Classic CC plan. However, when I click into your link to sign up Annual Subscription Plan, it directs me to the Adobe China website ( in Chinese, and supposedly Chinese version Lightroom are sold there, not English version which I’ve been using all along ). I am from Hong Kong. In 2015, I purchased the Lightroom 6 ( Perpetual license, English version ), pay with Mastercard in US dollar. Shipping and Billing address are all in Hong Kong. My Adobe account ID is my eMail address. But, I don’t know why I’m directed to the China website which offers Chinese version ( which I’m not familiar with ). This problem is not really a Lightroom technical problem, but I hope that I can get some advise from you as how to move on to get the subscription of Lightroom ( English version ). Thank you for your attention and advise. Probably easiest just to talk to customer services. http://adobe.ly/yxj0t6 The website seems to have a mind of its own at time. You could try the language link the bottom left corner first though. I think it’s more than a “language” problem. I notice that on my Adobe Creative Cloud page, it carries a new message announcement of Sept 28, 2017 that Creative Cloud products purchase in China will not have any mobile app or related services or features. This message does not appear in H.K., but only in China. Apparently Adobe is treating consumers & consumer purchase in China differently from other markets. In 2015, I purchased Lightroom 6 from Adobe online, English version at HK/ international price, paid with HK international credit card, Shipment & billing address are all in Hong Kong. Like most of people in H.K. & other Asia countries, I engage in China business & frequent travel to China, and I have China email account & address for communication, I use my China email address making online purchase of Lightroom 6 in 2015. There is nothing wrong at that time. But, since Sept 2017, Adobe seems to have a new & different policy towards China consumer & China consumer purchase, where certain app, services & features are not available. As I try to switch from perpetual license to subscription now, Adobe automatically detected my email address and user ID is a China email address, and automatically classify it to be a China market purchase, and automatically transfer the purchase to Adobe China webpage & offer Chinese language version. Seems like that if I want to continue to use my Lightroom Classic English version, I have to subscribe & set up a new Account ID with my Hong Kong email address. This however would lead to another issue- I will have on my computer 2 Adobe ID and Account, and 2 Lightroom from my 2 eMail address ID accounts. My question would then be:- when I have 2 Creative Cloud accounts & ID on my computer, will there be any complications, or will the 2 Lightroom Classic co-exist, or will I be required to remove one Adobe account/ ID/ Lightroom Classic? Or, how should I proceed if I want to subscribe Lightroom Classic English version and set up on my computer which already has an existing Lightroom under different account ID? Oh that’s very interesting to know, thank you. You could talk to customer services to see if they can switch your account http://adobe.ly/yxj0t6. If they can’t, you’re probably best to just use 1 Adobe ID. It’d just sign out the “old” ID. Thanks to all the people for their thoughts and for the LR Queen for closely monitoring this hectic discussion. I have had excellent support from Adobe, I am prepared to fork out the money for a new perpetual license, even a full one. But renting, no way. When Adobe switched to rental for their creative suite, I have stayed with CS6. Now I have to stay on LR6 perpetual as well. And that is very sour. As I saw this coming, I tried prepare a switch to On1, DXO, Capture one and Affinity. Of course, I looked at Photoshop Elements. Each of these products have its own merits. But I find myself always reverting to LR. Now LR is dead in its tracks for me. I will have to upgrade because my camera is starting to feel heavier each day. And it is a relatively light Nikon D5500. The day when my health does not allow anymore to be hiking around with friends and family, I do not want to be stuck to 150€ per year for photo software for a few shots. I hear what Roger Hartley says, but my camera is a 1.000€ one and the future cost of the LR rental is at least a thousand euros. For me, Classic also means Old Timer. But back to what I think about LR6 in the long run. I will have to switch to newer lighter camera, maybe a mirrorless one. But being an amateur and being retired, I hate the risk in the long term from the software lease contract. And history tells that those rental fees will go up, and then up again. Ask the users of Microsoft or Oracle databases. I hope to hear soon from Adobe that under great user demand from the loyal customers they highly regard, they reviewed the strategy. I switched to mirrorless a few years ago Guido, and I’m really pleased with my decision. The smaller size and lighter weight is lovely! I look for a quqlity camera, flash, swivel screen. Any good long zooms,e.g. 18-250 or 18-300 equivalent and “lightweight”. But that is a different subject. Do you have a conversation going about this? Post it on the forum Guido, and we can chat more. A few of the frequent posters have switched recently. I went with Olympus and I’m hooked. Not perfect for low light, but a good range of sharp lenses including zooms, and overall lightweight. Their 14-150 (28-300 equivalent) is amazingly small and lightweight, and surprisingly sharp for a superzoom, so an interesting option as a lightweight walkabout. Will the subscription version also allow me to use my LR on two machines? Thanks for the great summary of the changes brought in with LR7, Victoria. In fact, I’ve heard nothing directly from Adobe, so you broke the news to me. Like many others, the subscription model with additional items I don’t want and cloud-based applications leave me cold, so I won’t be moving to LR7 any time soon. Capture One is the obvious alternative but I see they offer both perpetual and subscription licensing, so there’s a distinct possibility you could end up in the same position with them – I did a quick search to see if they’d made any verbal commitment to maintaining a perpetual license offering but without success. No worries, it’s been struggling under the amount of traffic the last few days. You’re very welcome Steve. I think it’ll be interesting to see what the other companies do now. Yeah, I’ve seen On1 posting stuff too. I’m sure they’ll all jump on the bandwagon before too long. I think that the biggest travesty here is that Adobe do not distinguish between full time photographers and an enormous cohort of amateurs. It would be good if a subscription for non-commercial users was available at low cost. I shall be finding an alternative as it is just not worth £120pa when I can find alternatives that seem to be improving all the time. Generally I shy away from subscription products and try to buy at a once off price so that I know where I stand. With my broadband running at about 2Mbps a cloud based product is about as much use as a chocolate teapot. I’m not a big fan of renting stuff either, and if the price was higher, I’d be complaining too. But at £10 a month… that’s £2.50 a week. A single cup of coffee at my local coffee shop costs about that much, and that’s mainly water. I selected to update my Lr6 version, expecting to get 6.13 as I want to stay on the perpetual license. Instead it installed a trial version of Lr Classic which wants to convert my catalog before continuing. How do I go back to Lr6? ……..reinstalled 6 next to Classic. Catalogue and presets were automatically found. Removed Classic. Back in Business, waiting now for 6.13 to stay on perpetually…..
Great, thanks for the update Steefvan. Thank you Victoria, what you bring and the conversations that develop are invaluable! I cannot justify going to a subscription based format for many reasons and therefore will be staying with my LR6 going forward until I am forced to change. That being said, I have read that the upgrade to the perpetual license will be 6.13? Previously only one person mentioned they are on LR 6.8, as I am so I am confused (not hard to do some days). Under Help it states I am on LR 6.8 and Camera Raw 9.8, is this the latest LR 6 update? Why is LR 6.13 always mentioned as the latest? Thanks for the help as always. 6.12 is the current version, and 6.13 will be out on 26 October. I’ll post all the news here when it goes live, of course. Thanks Victoria, why is mine stating 6.8? What is that? Thanks Steve, tried that and I do have an ID but all I am offered is to update to Lightroom Classic CC. I get no listing for 2015/6.12. Last time I updated was when I received 6.8?? Guess I have to wait till October 26th and see what I get? Thanks again. It is so disappointed. I won’t subscribe. I believe that Adobe underestimated the impact to their image. You could well be right Kostas. Victoria, I always valued that you did not appear to be an “Adobe Apologist”. This time, however, with all due respect you come across as one. The idea that “testing needed for perpetual licenses is no longer economically viable” is pure nonsense. Please take it from us software engineers that this is an ultra lame excuse on Adobe’s part with no basis in reality. The idea that Adobe products remain useful after you stop paying the subscription is also very strange. If that were the case, why pay subscription fees at all? I do understand that some of the functionality remains, but you know as well as everyone that no uses the products for the functionality that remains after you stop paying. It is also not helpful, AFAIC, to suggest that the world has moved on to subscription-based schemes. There are many photo editing packages that one can obtain a perpetual license for. Instead of telling people to keep investing their time into photo organization and processing using products that are either phased out already or very much look they are next on the chopping block (how lame is the “Classic” suffix for a product that is intended to stay current? ), I think it would be much wiser to tell people to switch now so that any work they invest in the photos starting from today has a change to be a future investment. BTW, what is Adobe thinking with this very confusing naming scheme? Is this a desperate attempt to make the failed Carousel / Revel happen after all by using a successful name? The naming scheme is a huge disservice to the community and customers. Also, what makes you think that complaining to camera manufacturers about them not supporting DNG is more fruitful than complaining to Adobe about their latest bad moves? You discourage people from complaining to Adobe (which they should, AFAIC) and encourage them to complain to their camera manufacturers (I don’t have to, my camera supports DNG). Finally, yes the grass is greener on the other side. I was a very happy LR user once but then discovered Capture One Pro. Much, much better for my needs. I hope you’ll find a way to retain what had appeared to be your own voice in the past. Adobe has done great things but they also need to be called out when they do bad things. That certainly wasn’t my intention. The reasons I was given seem plausible to me, from my own experience of the numbers of CC and perpetual users now. As far as I understand it, it wasn’t just the testing of Lightroom, but all of the licensing/cart/accounting systems too. I’ve seen many of the issues with that first hand in the support I offer. Frequently I’m dealing with people who have ended up with the “wrong” download, or the perpetual upgrades won’t install but all the CC ones are installing fine, or… Could they work harder on improving that? Absolutely! But I guess when it reaches a certain threshold, it’s no longer worth their while financially. Perhaps from your background, you can offer a different perspective on that though? I’m sure you’re right that most people will move on and never look back when they decide to end their subscription, but many people are concerned that their photos or work will be “locked in” to Lightroom and they won’t have the choice to move on even if they want to. I can understand your viewpoint of telling people to switch now, but I’m not convinced that Lightroom is being phased out. Personally, I think they released LRCC too early, with the wrong marketing, and they messed up the naming of ‘Classic’. But, for those who don’t object to subscriptions, I think there is good reason for continued investment. And for those who do prefer perpetual licenses, I think we’ll see a lot of companies trying to capitalize on Adobe’s decision over the next few years, so it’s worth waiting to see who comes out on top and who flounders. Thank you for your reply, Victoria. I respect your viewpoints, in particular those that you have added your response to my post. Let’s hope Adobe will listen to customers as well as looking at what works optimally for them. At the end of the day, the market will decide. I guess my little “rant” was motivated by the idea of giving customers an objective picture so that they can make a good decision. Thank you Tom. I love that we can all have grown up conversations here. I really appreciate you taking the time to comment, and bringing up these extra points too. The line, “testing needed for perpetual licenses is no longer economically viable” in Victoria’s original post caught my eye, too. I assumed she was just repeating what she’d been told by Adobe rather than anything else. I was only making the point that you were simply relaying Adobe’s message…. I’m not sure where you’re seeing Adobe Photoshop LR6 Version 7. Could you post a screenshot? Range Mask is in the local adjustments panels, when you’ve added a gradient or brush mask. It’s a way of fine tuning a selection. I’d guess you’re probably on a 7 day trial at the moment. If you don’t want to subscribe, then we’ll need to help you reinstall Lightroom 6 and recover your catalog. Probably best to post on the forum at http://www.lightroomforums.net so we can help you more easily nor you might decide that the upgrade is worth the subscription cost. I have been in a dilemna. For a while I have been using ON1 Raw Browse to cull photos, bring them into Lightroom and then use ON1 Raw Effects to finish processing. I felt this workflow was really clumsy. Since Adobe announced they were no longer going to offer a perpetual licence for Lightroom the decision to ditch Lightroom became much easier especially as I already own ON1 Photo Raw. I have started to use ON1 Photo Raw for the whole workflow only using CS6 occasionally as I have not fully understood ON1 Layers. Still very early days but working well for me so far. I’m really pleased it’s working well for you Stefan. For my amateur needs ,Apple photos(latest version) plus Dxo and Affinity extensions does all i need. I’m pleased to hear you’ve found a suitable solution Chris. Good article Victoria ! I am not a “photographer” and have LTR perpetual(6) since LTR3. I am NOT going to a subscription method (for any software). Is there a possibility for you to add LTR6 perpetual to the above features list?. I’m not sure I quite understand the request Alexander. The features list about are ones that LR6 perpetual doesn’t include. If you already have Lightroom 6 perpetual, I’m not quite following why you’d need a list of features it does include? I have an aversion to signing up for any subscription plan. I am currently using LR6 and have purchased ON1 to migrate to. ON1 is supporting its software and I am finding that there are some very good benefits to the program as it has some PS elements to it. I will continue to use both programs until Adobe creates another issue for its users. In a blog entry from 2003(? 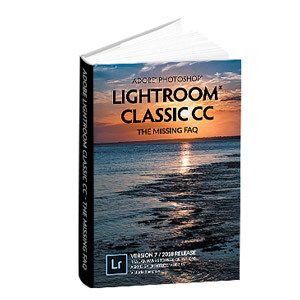 ), Tom Hogarty said that Lightroom will continue to ship as a standalone product by electronic download or as a boxed copy, as well as being available in the Creative Cloud. Now Tom Hogarty has turned around 180 degrees and is telling us that LR is now a suscription service. This seems to reverse his earlier decision quoted above. To quote “The X Files”: “trust no one” (especially Adobe). “There’s a signpost up ahead – ‘next stop, Capture One'”. Yep, it was 4 1/2 years ago that he said that, which is an eternity in the world of technology. At the time, no one could foresee that low cost subscriptions would turn out to be so popular with amateur photographers, or that Adobe would drop the subscription price as low as they have. Lightroom is still available for purchase as a perpetual license, however new versions will be subscription only. I know it’s not a decision everyone’s happy with.